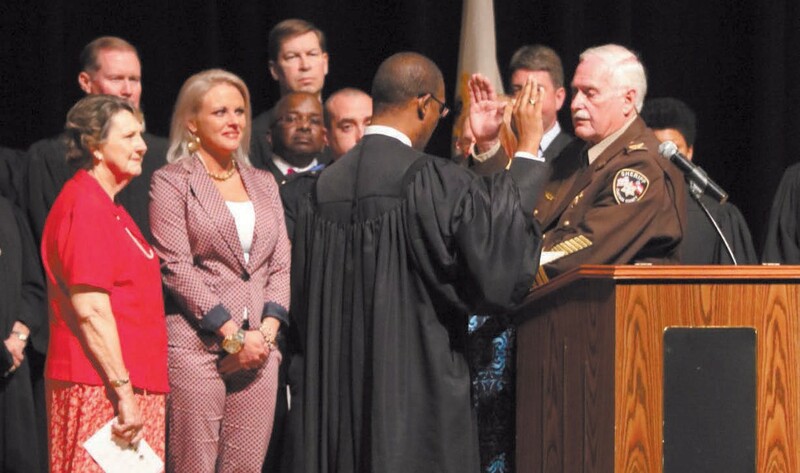 The swearing in ceremony of Sheriff John Wilcher was held on last Tuesday at the Savannah Civic Center. Wilcher won the runoff election between he and Interim Sheriff Roy Harris. Wilcher served in the sheriff’s office for forty years and received the Georgia Sheriff’s Association Excellence award during his tenure. Wilcher’s platform included increasing graduation rates as a means of reducing recitivism, eliminating wasteful spending in the Sheriff’s Department and increasing the support for staff members, officers and the public. Wilcher retired last year as jail administrator with the rank of Colonel and has over forty years of experience in law enforcement. He was active in the DARE Program, received the Edward Hester Award and Trial Lawyer’s Award and served as a volunteer for the Georgia Sheriff’s Youth Home . There will be a another election for Chatham County Sheriff to be held in November 2016.